At TBT HQ we love eating fresh produce, which means enjoying foods in the form that is closest to their natural state. That said, our busy lives can often lead to convenience wining over freshness and we turn to processed foods for a quick fix. We should add that not all foods that come in packages are unhealthy choices. In fact, there are some healthier alternatives that are helpful timesavers in modern living. Breakfast would be a long wait if we didn’t have oats rolled out for us, or had to culture our own vats of yoghurt. On the other hand, some processed foods wear the guise of health but offer much less than what they claim. With this in mind, we’re here to help you become more savvy in wading through the persuasive marketing techniques employed by the food industry. In recent years, we have seen a lot of healthier processed food alternatives pop up on the market. Often, they claim to be healthier than their standard counterparts. Let’s compare some allegedly healthier alternatives and we’ll show you how to choose the best options in the supermarket aisles. 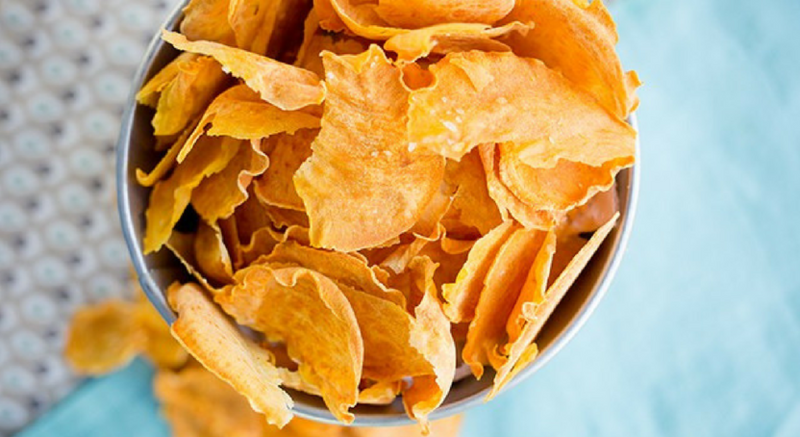 Sweet potato chips are often perceived to be healthier than regular potato chips. Comparing Kettle potato chips to their sweet potato chips range, both types are actually identical in terms of energy, fat and carbohydrate content. Although the bag of sweet potato chips have more fibre, neither products would be classified as a rich source of fibre. As such, the sweet potato chips are not significantly healthier than the regular chips. They are both still classified as sometimes foods. You’ll be better off enjoying fresh sweet potato and spuds in your next meal. Shapes Light and Crispy are advertised to be the healthier alternative to regular Shapes. However, the nifty nutrition information panels reveal another side of the story. The recommended serve sizes is 20g for Light and Crispy and 25g for regular Shapes. This may make Light and Crispy seem healthier on a per serve basis. A savvy tip is to compare them using the 100g column. This is because recommended serve sizes can vary between comparable products, which can be deceiving. Comparing them per 100g does find that the Light and Crispy have less energy and fat than regular Shapes, but more carbohydrates and sodium. So, while the Light and Crispy varieties can be seen as a slightly healthier alternative due to their lower kilojoule content, keep in mind that the higher sodium and added sugars will leave you wanting more. You may have seen vegan dark chocolate made with raw cacao on the supermarket shelves or in health food stores. Comparing Pana raw cacao chocolate with Lindt dark chocolate (70%) on a 100g basis finds that the chocolates are similar in total energy content. However, taking a closer look at the macronutrients, Pana chocolate has less carbs and added sugars. It is similar in total fat but higher in saturated fat due to the use of coconut oil. As saturated fats increase the risk of heart disease, Lindt chocolate would be a more heart-healthy pick. However, both can be enjoyed in moderation (about 2 squares per day). Have you heard of Carman’s new range of high-protein muesli bars? The protein bar versions offer significantly more protein, which may be appealing to gym-goers and as hunger-busting snack choices. However, they also pack in far more energy and fats. So, if you are watching your weight the high protein bar wouldn’t be a good choice. In fact, the protein bars contain more kilojoules than a recommended snack size of 600kJ. This means if you choose the protein bars, you may need to be more conscious of your energy intake for the rest of the day. Comparing these two versions of mayonnaise finds that the Lite version has about half the kilojoules and less than half the fat content of the original version. However, it has double the added sugars. If we keep our portions down to a tablespoon or two, the amount of sugar per serving is still small and makes the Lite version a healthier option. The bottom line is many of these “healthier” alternatives are not as healthy as they claim to be, and aren’t much healthier than their regular versions. Next time you’re roaming down the supermarket aisle, use our simple steps to work out which products are best for you and your family, and if not, how to find a healthier alternative. 1. Use the per 100g column for kilojoules, total fat, added sugars and sodium. Choose the product with less of these nutrients. If the serve sizes are the same between products, you can use either column. 2. Consider the actual portion you will eat! If two products are similar on a per 100g basis, check the per serve column for the amount of kilojoules, fat, added sugars you would be consuming in a serve. For example, a 1g difference in fibre per 100g of chips only contributes a 0.2g difference in a 20g serve. 3. Where available, use the Health Star Rating to compare products within the same food category. The Health Star Rating system considers energy, saturated fat, sugars, sodium, fibre, protein, calcium and fruit, vegetable, nut and legume content of the product for an all-rounded nutrient rating. Read more about the Health Star Rating System Here. 4. Think of smart swaps from highly processed products to less processed alternatives. 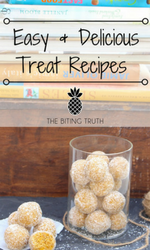 Often, with a little searching, a healthier, less processed alternative can be found. For example, mayonnaise can easily be replaced with Greek yoghurt for a healthier twist in salad dressings and marinades. Or why not consider snacking on trail-mix instead of a muesli bar? We hope that these tips help you navigate the overwhelming supermarket aisles. We would love to hear any tips and tricks you use when buying foods for you and your family. Happy shopping! This blog post was written by Monique Heller and edited by Michelle Hsu. 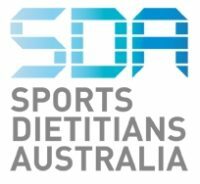 Monique and Michelle are interns at The Biting Truth and currently studying their Masters in Nutrition and Dietetics at The University of Sydney.